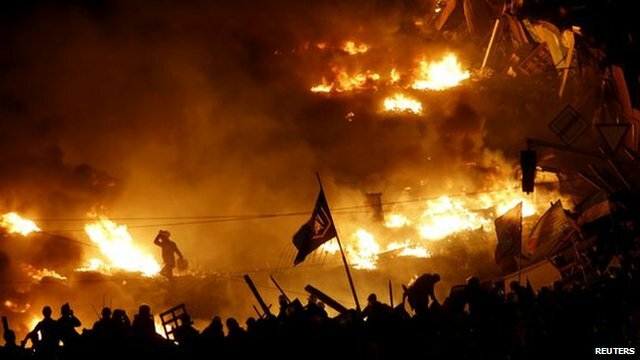 'Tense situation' in Kiev square Jump to media player Anti-government protesters and police are continuing to clash in the Ukrainian capital, Kiev. 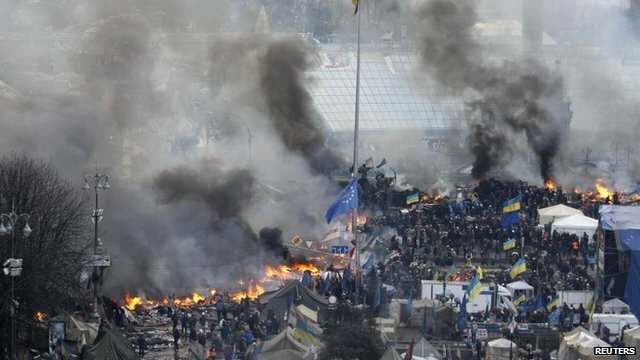 Ukraine president 'agrees truce' Jump to media player Ukraine President Viktor Yanukovych says he has agreed a truce with opposition leaders to end the "bloodshed" of the last two days. Morning after the night before in Kiev Jump to media player Fires are still burning in Kiev's Independent Square after a night of violent clashes between anti-government protesters and riot police. 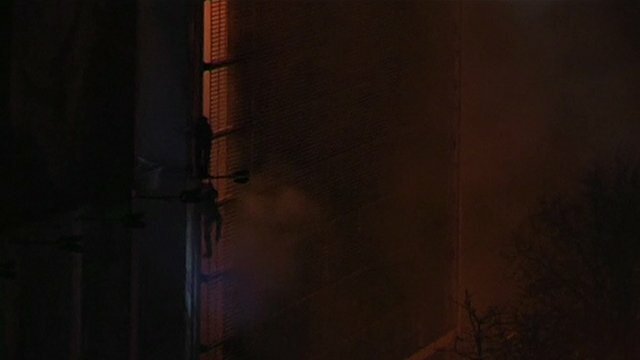 Protesters climb down burning building Jump to media player There have been renewed clashes between police and anti-government protesters in the Ukrainian capital Kiev. 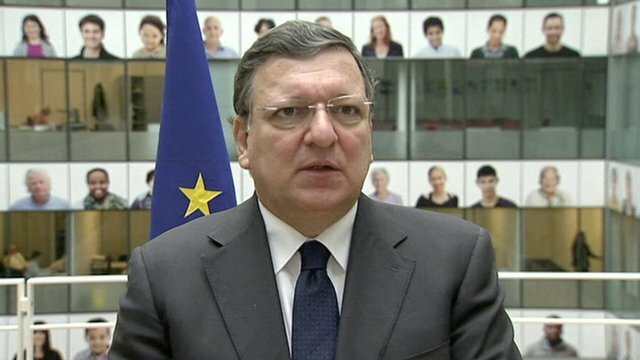 'Dismayed' EU set for Ukraine sanctions Jump to media player The EU says it expects to agree sanctions on those behind "repression" in the Ukraine, after renewed violence left 26 people dead. Lviv soldiers 'surrender to protesters' Jump to media player Video footage has emerged of security forces apparently surrendering to anti-government protesters in the Ukrainian city of Lviv. 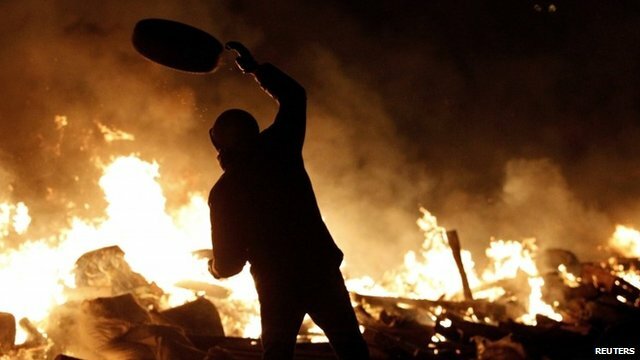 Clashes in Kiev square overnight Jump to media player The Ukrainian president has blamed opposition leaders for the latest violence in Kiev. 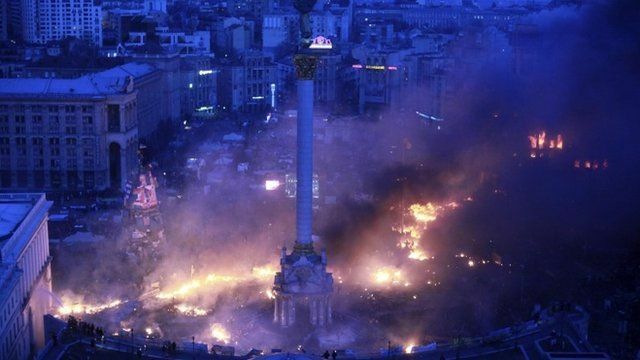 Anti-government protesters and police are continuing to clash in the Ukrainian capital, Kiev. Petrol bombs and rocks have been hurled at riot police, who have responded with water canon and stun grenades. Duncan Crawford, who is at the square, said the atmosphere on the ground was "tense".